When you come to Sun City Stables, just look for the person wearing orange! Our guides, workers and volunteers now all wear orange shirts. So…if you’re new in town, or coming to Sun City Stables for the very first time…look for the person in the orange shirt. 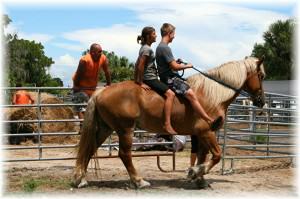 This entry was posted in Uncategorized and tagged Bradenton Horseback Riding, Florida horseback riding, Florida Trail Riding.